Last year a developer submitted an application to build about 785 houses and 2 multi-story buildings on what is now Saw-whet Golf Course. There was a loud public outcry against the plan. Hundreds of you wrote passionate letters to the Mayor and Council and attended meetings that attracted overflowing crowds. Largely as a result of the public outcry and incomplete environmental studies, Council did not pass the subdivision plan for Saw-whet. The mayor promised to save all of the Merton Lands of which Saw-whet is part in his inaugural speech on Dec. 1, 2014. (Deerfield is also part of Merton Lands). But last fall the developer side-stepped your elected Council’s wishes by taking the development plan to the Ontario Municipal Board (OMB). I find it deeply frustrating that an un-elected OMB member has the power to trump the wishes of your elected representatives. The pre-hearing is set for May 1 and the hearing is scheduled to start in October. So now, once again the public needs to speak up – this time to the OMB. April 14, 7 pm, Halton Region Bldg., 1151 Bronte Rd. Tell your friends and neighbours about this issue. Ask them to email me so I can add their contact info to my data base and keep as many people engaged as possible. As always, please feel free to contact me with questions or comments on this issue and other matters of Municipal or Regional importance. This morning a press conference was held to announce some good news about the preservation of some land near Third Line and QEW that had previously been slated for development. Below are the details. In my opinion, this is a great first step toward preserving all of the land within the Merton Study area. Hope you had a great summer and a smooth transition back to fall routines. Oakville – MPP Kevin Flynn, Mayor Rob Burton and Town Councillors confirmed today that Infrastructure Ontario has officially withdrawn its planning application for the Merton lands in WestOak Trails/Glen Abbey area. 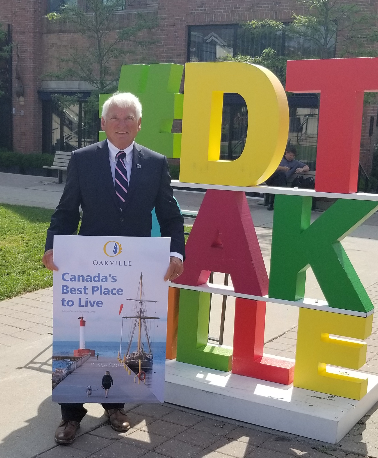 This move builds on MPP Flynn’s and Council’s long history of providing political leadership for those citizens advocating for sustainable development and conservation in Oakville. The Third Line lands include parcels of land owned by Infrastructure Ontario and leased to the Town of Oakville. The news affirms the Ontario government’s and Oakville Town Council’s commitment to the protection of green spaces by keeping these lands in public ownership. In February 2014, MPP Flynn wrote to then-Minister of Infrastructure to ask that any plans to sell sensitive lands included in the natural heritage system of the Fourteen Mile Creek system be cancelled. As a result, Minister Murray made clear his intent to keep the lands in public ownership by retaining the existing leases per the original agreements. The leases on the Town of Oakville properties run until 2040 and Minister Murray has encouraged Infrastructure Ontario to find opportunities to work with Deerfield Golf Course to extend the lease beyond its current expiry date of 2022. In conjunction with MPP Flynn’s efforts, Town Council unanimously directed planning staff to add consideration of the impact from the terms and policies in the new, greener Provincial Policy Statement on land use planning, to the terms of reference for the Merton Lands Study. Council also directed staff to consider how the Province’s new policy toward protecting “working landscapes” might apply to the two golf courses, Saw-whet and Deerfield, in the Merton Lands. Infrastructure Ontario is withdrawing its Merton Lands planning application as a result of action taken by MPP Flynn and Council. This adds to a strong track record of co-operation when it comes to preserving Oakville’s green space. Together the Liberal government and Oakville Council have saved over 2300 acres of environmental lands across Oakville, and protected an additional 124,000 acres of environmental lands across Halton in the enhanced Halton Natural System, including of over 400 hectares of environmentally sensitive lands including forests, creeks, wetlands and valley lands. By making the right decisions and standing up to opposition, the Ontario government and Oakville Town Council has acted to ensure that future generations have preserved natural lands to enjoy. 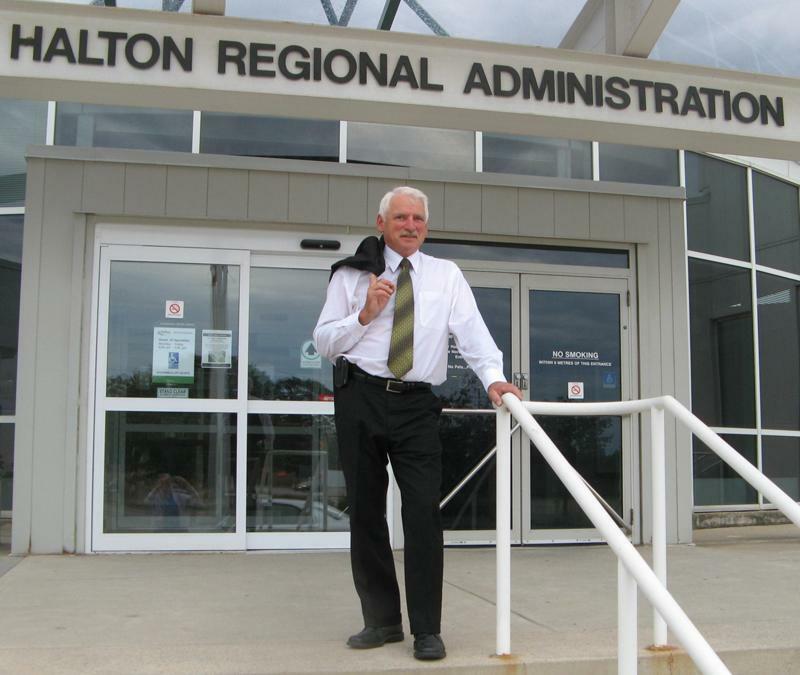 “This is fantastic news for the residents of Oakville. I believe the province’s decision not to develop the Third Line lands is largely the result of the hard work of our MPP, Kevin Flynn, who ensured that the decision makers at the province were aware of the strong outcry against the development plan.” – Allan Elgar, Ward 4 Town and Regional Councillor.